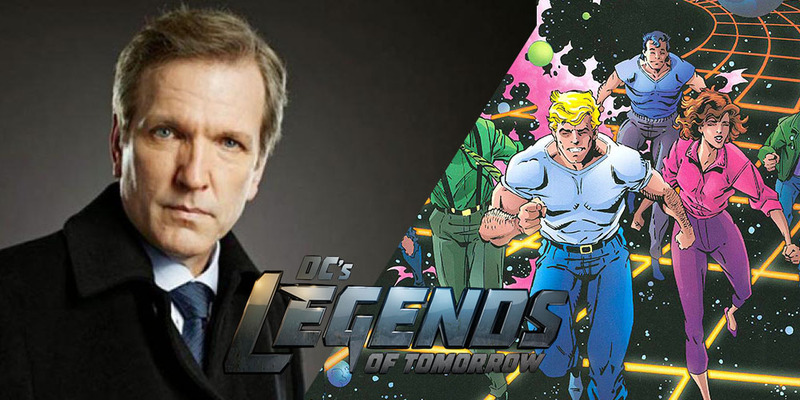 Legends of Tomorrow: Who is Master Druce? Captain Rip Hunter and his rag-tag team – Ray Palmer, Sara Lance, Heat Wave and Cold Wave, Hawk Girl and Hawkman (deceased), Jesse Jackson and Prof. Stein (Firestorm) continues their quest to defeat Vandal Savage despite the loss of Carter. They reached Soviet Union in the year 1986 at the height of cold war, where Valentina (a Soviet scientist) is working on a secret project for Vandal Savage, to create their own “Firestorm” using thermal core. Amidst all the action, a new character was introduced in the show i.e Master Zaman Druce who is Rip Hunter’s former mentor and now the Time Master, played by Martin Donovan (of Ant-man fame). He is tasked with mediating in the conflict between Captain Rip Hunter and the Council. He pointed out the enormous damage that Capt. Hunter has done to the timeline, and if he accepts the deal his team-members will be sent back to their original timeline i.e January, 2016 unharmed. He further said to Captain Hunter “A Team is a liability; it keeps you away from making tough choices”. He warned Hunter that his team-mates will be beyond saving if he does’nt accept the deal. He was supposed to be the most trusted guy for Hunter, but he betrayed him by bringing Cronos, fortunately Rip Hunter was prepared and had a back-up. He appeared as a guest star with the possibility of recurrence if audience gives a good response. Did you know that Bongs have their very own Valentine's Day? Read on.